In this talk I will perform a live session of Exploratory Testing. As an example, I use a well known program and start testing on a variable of that program. I explain what I'm doing, what I'm my thinking. What do I learn from the observations? How I define test ideas? How to come with new tests to execute? After I have done the live demonstration, I will discuss with the audience what I have done. I will come up with questions and ask the audience to reply. I will explain some of the theory of Exploratory Testing and point out where I used it in the live demonstration. 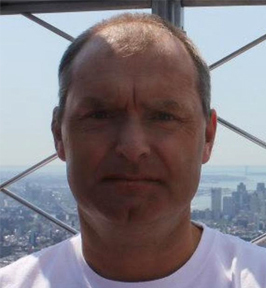 Simon is a very experienced all-round tester, who has worked since 1997 as tester, test coordinator and test manager. He has several years of experience using SBTM as a test approach. Since 2005, Simon works as an independent consultant. He visits annually at least two conferences and two training sessions to keep his knowledge up to date and where necessary, broaden/deepen his knowledge. Simon is also an active member of TestNet and (co-founder of) the Dutch Exploratory Workshop on Testing. In these communities of enthusiastic testers he is active with peers and discuss with them on the testing profession to keep up to date and improve them selves.